This topic contains 1 reply, has 2 voices, and was last updated by Harry 3 months ago. I would like to know how to take out all the Gecko advertisments from our page, specially from the bottom menu of the main page, also all the advertisments from about us and from the blog. 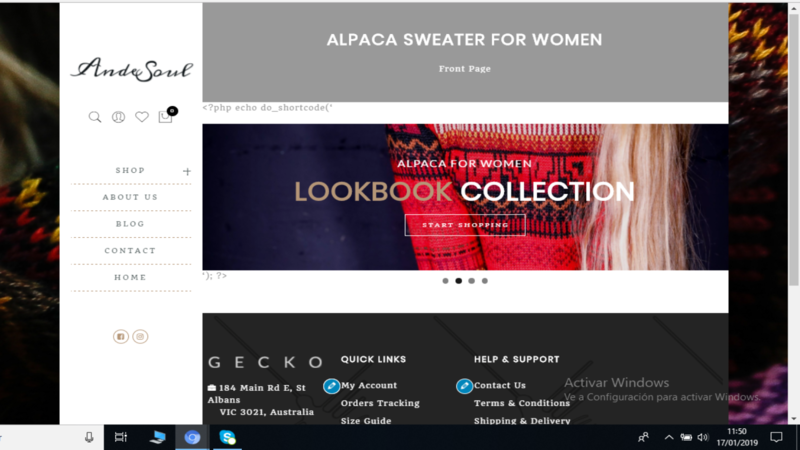 I would also like to know how to insert an image in the upper part of my main page, instead of having that huge grey box, or take it out also the letters of alpaca sweater for women and front page. 4. Please edit homepage and check the code you added.